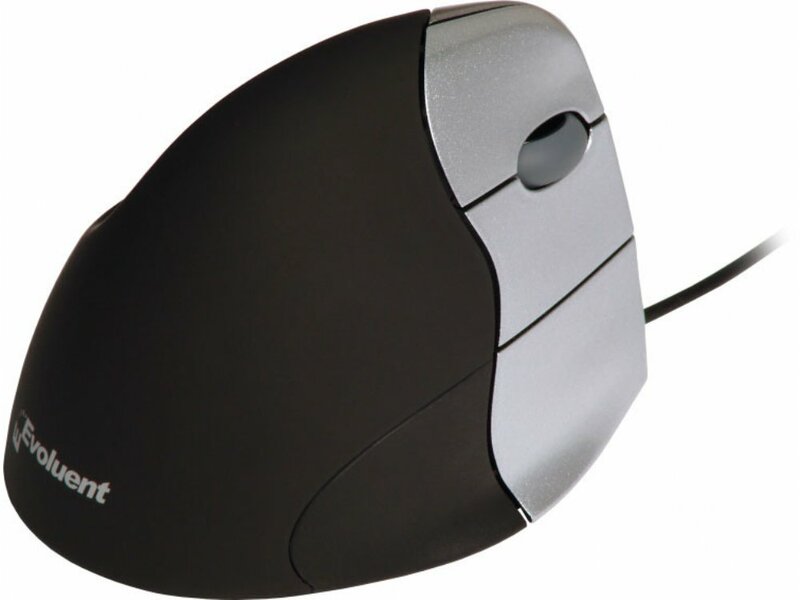 The Evoluent VerticalMouse 3 has a patented shape that supports your hand in a relaxed handshake position, and eliminates the arm twisting required by ordinary mice. The patented shape supports your hand in an upright neutral posture that generally avoids forearm twisting. Many users, including medical doctors, ergonomists and physical therapists, said the Evoluent VerticalMouse provides superior comfort and even relieved their wrist pain. The shape is thoughtfully sculpted for uncompromised comfort and easy-to-reach programmable buttons. No finger contortions are needed to operate the buttons. Evoluent Mouse Manager for Windows provides extensive but easy to use functionality for buttons through a simple and intuitive interface. Includes driver for Windows XP, Vista and Win 7 in 32/64 bit for programming all buttons. The driver is not required. The VerticalMouse 3 still has basic functionality without it. USB only; May be compatible with some USB KVM switches but it is not guaranteed. Basic functionality without a driver.